Modern green movement: Eco-pragmatists are challenging traditional environmentalists over scope of nature. Can modern greens loosen nature’s grip on environmentalism? Emma Marris is a leader of the modernist environmental movement. In 2005, two renegade greens tried to kill off environmentalism in broad daylight. The environmental movement, they said in a provocative essay, had grown stale and ineffectual. It was beholden to a wooly-headed, tree-hugging worldview that was as dated as lava lamps, bellbottoms and Billy Jack. This save-the-Earth brand of environmentalism, which has long idealized wilderness (as true nature) while simultaneously designating humanity as the scourge of the planet, “must die so that something new can live,” Ted Nordhaus and Michael Shellenberger wrote in “The Death of Environmentalism” (PDF). Their critique landed like a thunderclap in green circles. Some environmentalists welcomed the jolt. But Sierra Club Executive President Carl Pope, channeling the reaction of many establishment green leaders, was dismissive: “I am deeply disappointed and angered by it,” he wrote in a long retort. For a few moments, though, environmentalists debated the state of their planet-saving enterprise. But this was in the middle of the George W. Bush era, when the environment was widely considered under assault. So green warriors soon returned to the trenches and focused on preventing the administration from rolling back existing environmental protections. They didn’t have the time or luxury to reflect on their failings. The opportunity for a reimagined environmentalism seemed lost. Or perhaps the seeds that had been planted a decade earlier were just budding. Because today there is a growing reassessment under way in the environmental community. Leading the charge is a varied group of what I call modernist greens (others refer to them as eco-pragmatists). They are people with deep green bona fides, such as the award-winning U.K. environmental writer Mark Lynas, whose book The God Species champions nuclear power and genetically modified crops as essential for a sustainable planet. 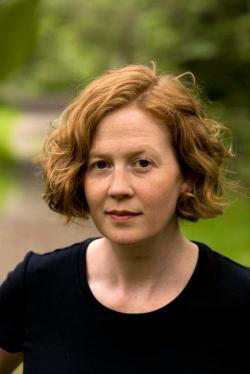 Another is Emma Marris, author of the critically acclaimed Rambunctious Garden: Saving Nature in a Post-Wild World. She argues that “we must temper our romantic notion of untrammeled wilderness” and embrace the jumbled bits and pieces of nature that are all around us—in our backyards, in city parks, and farms. This broader ecological view rankles traditional conservationists, who have long held that the best kind of nature is that which is protected and left to its own devices. At an Aspen Environmental Forum this summer, Marris annoyed eminent conservation biologist E.O. Wilson by talking about expanding our definition of nature, perhaps even to include invasive species. “Where do you plant that white flag you’re carrying,” Wilson asked. 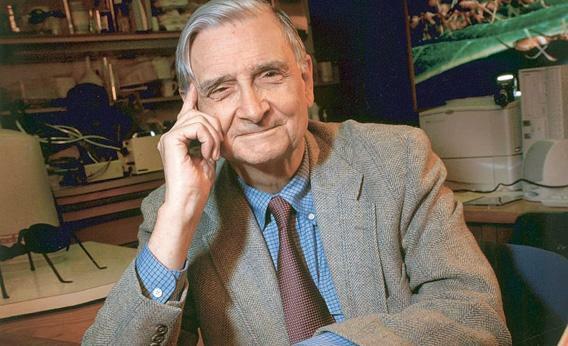 Wilson is an iconic eco-hero for his eloquent championing of biodiversity. As such, he symbolizes the long-dominant, nature-centric wing of environmentalism. Taking on icons (be it Mother Nature or one of her most celebrated defenders) is not an easy thing. But Marris and Lynas, among others, have helped usher in an ambitious re-examination of green orthodoxies; insurgent (even heretical) ideas are gaining currency in books, at conferences, on blogs, inside NGOs and think tanks. There is—dare I suggest—a new and improved environmentalism in the making. One of the other heavyweights in the conservation world, Peter Kareiva, the Nature Conservancy’s chief scientist, has recently emerged as a blunt-talking modernist green—an environmentalist who has made it his mission to loosen nature’s grip on the green movement. For example, earlier this year, he and a co-author wrote that “ecologists and conservationists have grossly overstated the fragility of nature, frequently arguing that once an ecosystem is altered, it is gone forever.” This belief has flowed from the long-held notion (one that Marris has also forcefully challenged) of a pristine nature that exists apart from people. But that is a false construct that scientists and scholars have been demolishing the past few decades. Besides, there’s a growing scientific consensus that the contemporary human footprint—our cities, suburban sprawl, dams, agriculture, greenhouse gases, etc.—has so massively transformed the planet as to usher in a new geological epoch. It’s called the Anthropocene. This shift in thinking is already under way. For example, ecologists increasingly appreciate (and study) the diversity of species and importance of ecosystem services in cities, giving rise to the discipline of urban ecology. That was unthinkable at the dawn of the modern environmental movement 50 years ago, when greens loathed cities as the antithesis of wilderness. Another important shift involves federal protection of imperiled species. Since its inception in 1973, the U.S. Endangered Species Act has pitted environmentalists against private property owners, whose lands often provide crucial habitat for species designated as threatened or endangered. (Controversy has also raged on public lands, with the spotted owl war perhaps being the most notorious and polarizing example.) Throughout much of its history, the ESA has triggered lawsuits and much acrimony. But in recent years, changes in philosophy and approach at the federal level have fostered an increasingly cooperative relationship between conservationists and private property owners. Several months ago, the U.S. Fish & Wildlife Service announced a new agreement with farmers and ranchers that requires them to “voluntarily” implement measures that will improve habitat for a variety of species. In return, landowners will receive greater financial assistance and assurances that they will not be penalized if endangered species move on to their property. The agreement is being hailed as unprecedented by some conservationists. It follows on the heels of a similar deal between the FWS and oil and gas companies in Texas and New Mexico. Both are part of a larger trend over the past decade that has seen state and federal agencies collaborate with multiple stakeholders to forge innovative conservation plans, such as the much-lauded pact in Arizona that balances economic development with a landscape level safeguarding of biological diversity (including hundreds of vulnerable animals and plants). What’s going on here? Has a new generation of conservationists diluted the meaning of conservation? Even worse, by cutting deals with developers, are they selling out nature? Modernist greens say they are being pragmatic. In Scientific American, marine biologist Benjamin Halpern recently described a new metric of ocean health that will incorporate fishing, recreation, and other human uses of the sea. “Such pragmatism requires us to recognize that people are a fundamental part of all ecosystems that make up Planet Earth, including the sea,” he writes. This perspective, he admits, is a radical departure from the nature-centric framework that has long dominated environmental politics and policy. The Anthropocene looms large in this debate over the future of conservation and, more broadly, environmentalism. Both modernists and traditionalists agree that human activities since the Industrial Revolution have given the planet a global facelift. But the two camps differ on what the Anthropocene means and how it should be interpreted. Green traditionalists are well-represented among environmental scientists, and they publish high-profile papers warning “that population growth, widespread destruction of natural ecosystems, and climate change may be driving Earth” to an irreversible tipping point. They issue reports from prestigious science societies warning about a finite planet being run into the ground. Some hold glitzy, international symposiums that put humanity on a mock trial for the global imprint of its civilization. The common thread: The Anthropocene is an unmitigated disaster. Humans are planet wreckers. Time is running out for us. Similarly, greens have a choice to make about the future of their movement. Environmentalism (especially in the United States) has been a force for much good since the first Earth Day in 1970. Plants and animals and their habitats are better protected, our air and water are much cleaner, and polluting industries are better regulated. These important gains should not be sacrificed in the name of economic development. At the same time, however, greens should recognize that the nature-knows-best, technology-averse philosophy has bred some unfortunate tendencies that make 20th-century environmentalism ill-suited to address 21st-century problems and needs. If modernist greens are successful in prodding their peers, environmentalism will be reborn and continue to play a vital role in making the world a more sustainable place for all.